Ramada Encore Hotel in Tbilisi is ultimately expected to create more than 100 direct and indirect employment opportunities. Hotel and tourism jobs often have a strong multiplier effect and indirectly generate many other jobs, one of the key reasons behind IFC’s support for the hotel industry in developing countries. Since 1956, IFC has invested over $2.7 billion in more than 276 tourism and hotel projects in 90 countries, with about half of these investments in frontier countries. 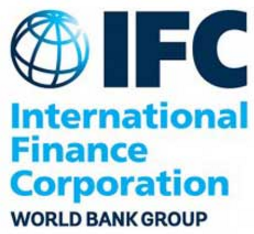 Since Georgia became an IFC member in 1995, IFC has provided more than $1 billion in long-term finance, including $362 million mobilized from partners, supporting 52 projects across various sectors. In addition, IFC has supported nearly $300 million in trade through its trade finance program, and implemented several advisory projects focused on private sector development.